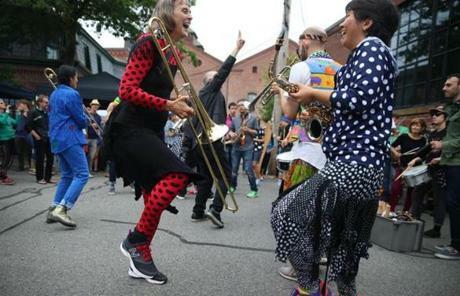 Saturday’s Porchfest in Jamaica Plain had musicans dancing and playing for the crowd. 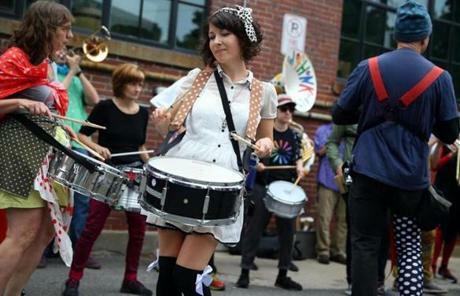 Jamaica Plain’s Porchfest is a free outdoor music festival. 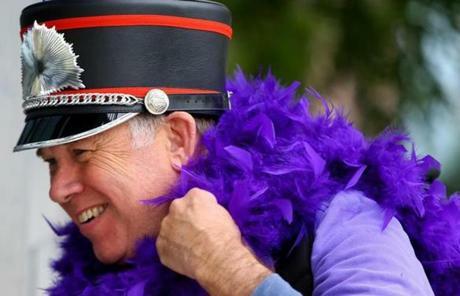 Performer Doug Spalding got his boa on at Porchfest in Jamaica Plain. 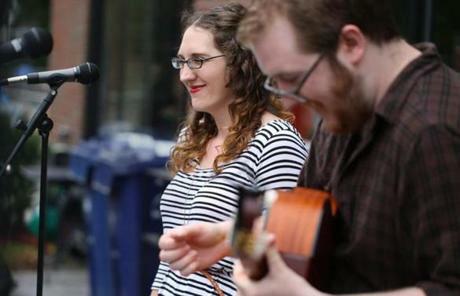 Porchfest originated in Ithaca, New York in 2007. There are now 50 Porchfests held around the country. 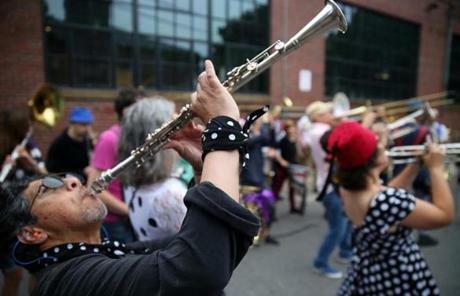 Saturday marked the third annual Jamaica Plain Porchfest. 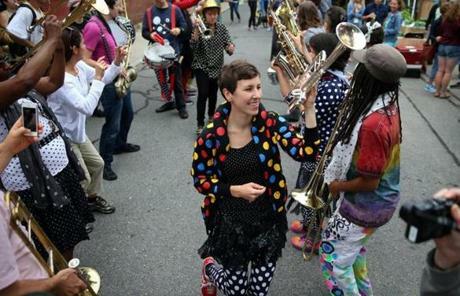 Brookline, Roslindale, Arlington, and Brookline host similar events. The group Turtle Pond Union with Meghan Knowles (left) and Mike Thomas Kerr performed at La Rana Rossa.